To properly host the education bird we must have appropriate housing and food. There are resources available to guide us through this process, and we must be ready to care for the bird for the long haul. 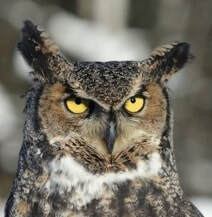 A Great Horned Owl or Red-tailed Hawk could live 25-30 years in captivity, up to double their natural life span in the wild. There are expenses associated with this care; we must have the ability to cover up to a $1000/year food bill for some species. Building a new mew (large cage) takes funding and the efforts of numerous volunteers - from design to materials acquisition to site preparation and finally the construction. The birds we have are kept busy, as are the volunteers who handle them, meeting with thousands of members of the public each year. We attend tourist venues, school classrooms and science fairs, birthday parties, large fairs and also host some of our own events on or off site. 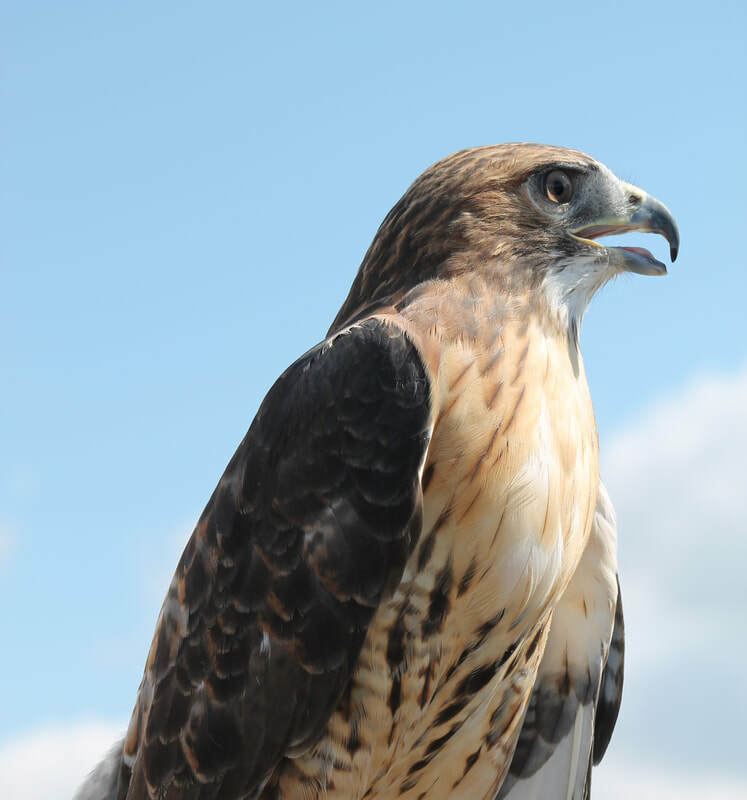 There is a modest fee associated with a requested presentation, but it helps to offset the costs of keeping these birds. It is amazing, however, to see a live wild bird that you may never observe in the wild, and to have an educated and interesting presenter to provide information about the species, its habitat, and birds in general. 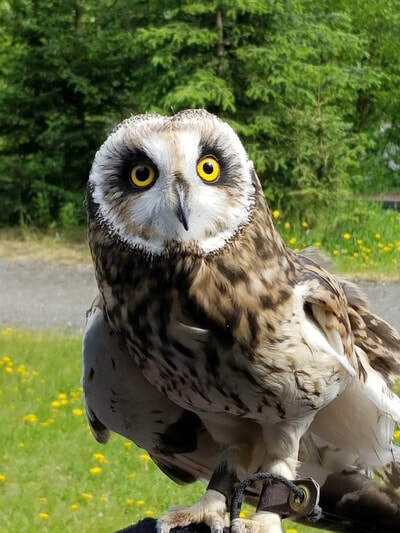 One of the more exciting aspects of volunteering with AWBRC is the opportunity to work up to being a handler for these birds, or to assist at the events to help educate others about our Alaskan birds. 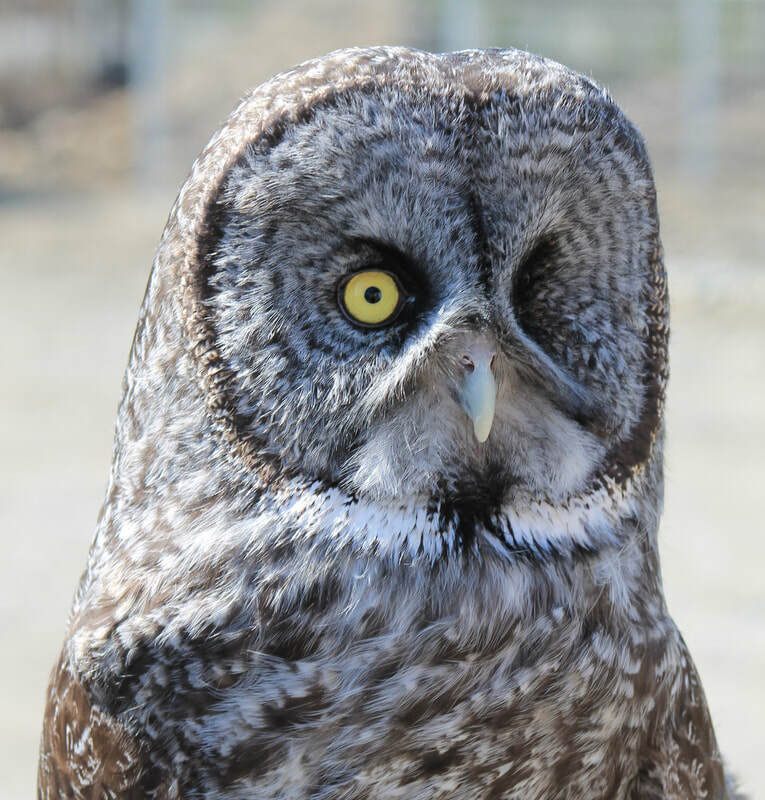 While our name only mentions the rehabilitation aspect of our mission, the education side is equally important to draw attention to the birds and just plain let everyone know about us and how to protect our wild avian friends.